Natural sunscreens with Zinc Oxide and Titanium Dioxide have long been the choice of dermatologists (and environmentalists) for their immediate efficacy and safety. 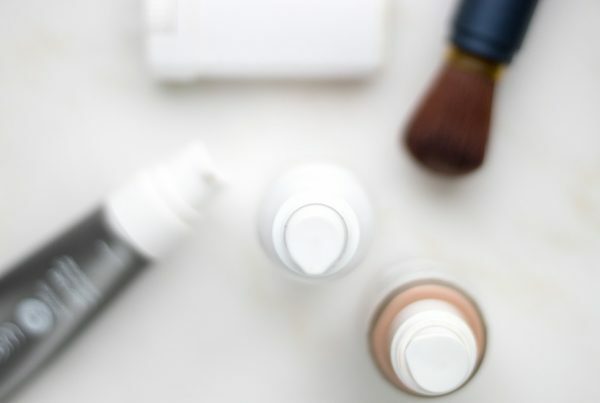 Currently Zinc Oxide and Titanium Dioxide are the only two ingredients that the FDA is considering “safe” in their proposed updates to the sunscreen regulatory standards. The FDA needs to update how they evaluate SPF ratings for the safest coverage from both UVA and UVB rays that damage the skin. For now, the testing in the U.S. is subpar compared to the EU because it only factors UVB protection. Consumers have rebuked the white cast, greasy, and pore-clogging ways of old-style formulas. Below is a round up of modern formulations, which are my favorite, natural sunscreens with Zinc Oxide and Titanium Dioxide (safe for your face) that have a forever home in my beauty cabinet. I even threw in a tinted moisturizer recommendation! And I turned to their creators for insight on why they chose Zinc Oxide and/or Titanium Dioxide, which turned out to be a fascinating look inside the minds of how conscious formulators are addressing the issue. When certain chemical sunscreens were banned in Hawaii (to save sea life), it caused many people to finally wonder what the health implications of these chemical sunscreens were for themselves too. I’ve already written a lot about sun protection, sun safety, and best natural sunscreens for face and body. One of my most popular articles, Is your Sunblock Preventing or Causing Cancer, touched on the chemicals to avoid in sunscreen and why. So I highly suggest reading that. 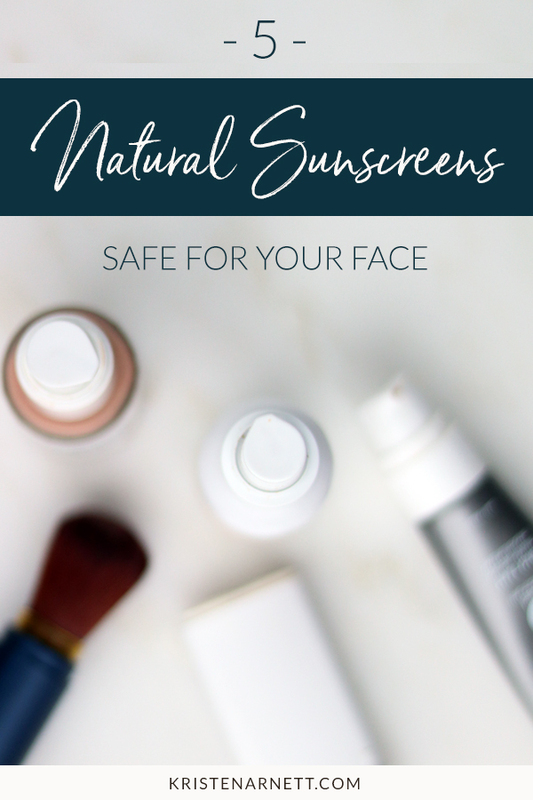 With all controversy comes confusion, as I saw in my Healthy Beauty Over 40 Facebook group, where face sunscreen has become a very hot topic, so let’s dive in a little further. “Most sunscreens I used on a routine basis had a tendency to feel greasy and heavy, smother the skin, and cause breakouts. Most sunscreens also totally lack in nutrition for skin because the issue of getting chemical sunscreens to work well is so complex already that adding more actives becomes problematic. Photonic solves all these problems with a featherweight, hardworking formula that has the dual function of nourishment and protection – and won’t clog the skin or cause breakouts! We chose a transparent zinc oxide because zinc is the most capable broad-spectrum mineral sunscreen. It’s actually healthy for skin and includes anti-irritant properties. Zinc Oxide also does the best job at bouncing UVB as well as UVA rays. I love having SUN PREP on hand because it looks and feels totally invisible on the skin. On the flip side of formulation, Hynt specifically chose to only use Titanium Dioxide as its active ingredient. A little goes a long way with this. Because it’s invisible, don’t treat this like an old-school sunblock by rubbing and working it into the skin a lot, or it will ball up. “SUN PREP is a unique 3-in-1 formula: makeup primer, moisturizer and sun protection. The concerns with Titanium Dioxide is for loose powder inhalation, which can be an irritant to the lungs and possibly carcinogenic in large doses. Read Hynt’s article on it. However, the micronized, rutile form of Titanium Dioxide that we use in our formula is non-nano and therefore, safe to be used in a lotion. 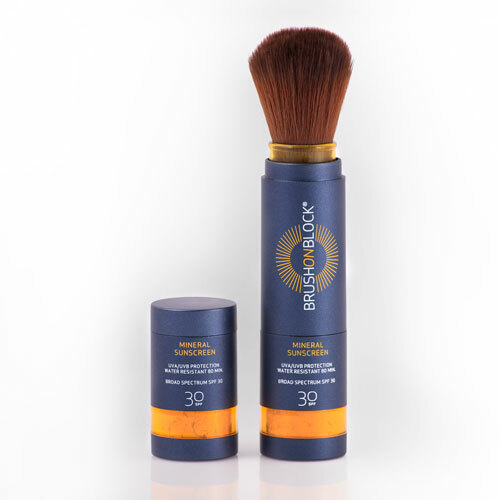 A blend of both worlds, Brush On Block is a powder sunscreen which uses both Titanium Dioxide and Zinc Oxide. It took me a few tries to figure out how to use it and if I was using enough since it goes on transparently. The uniquely fabulous thing about Brush On Block is you can apply it to your face for extra protection throughout the day without messing up your makeup like trying to apply a cream over it would. Hooray! I’ve been keeping this in my purse now on the reg. 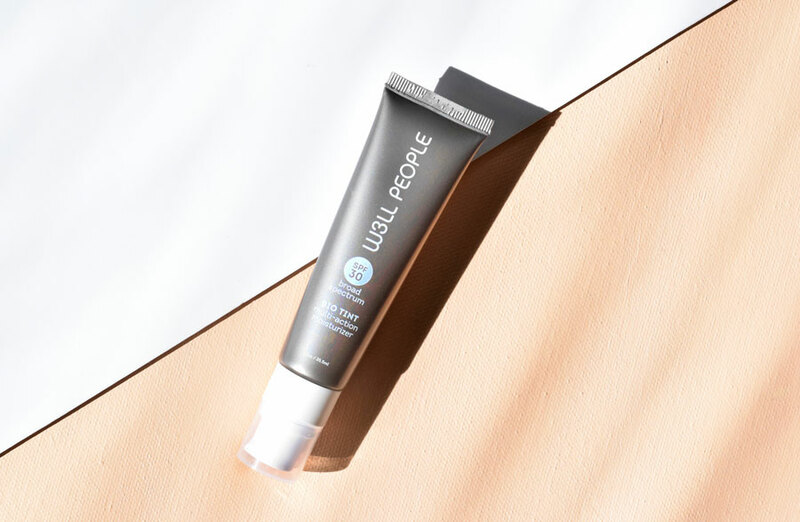 “Titanium Dioxide is the more effective UVB protection (less opaque white residue) and Zinc Oxide (more opaque white residue) is the more effective UVA protection. So by using both, there are no gaps in the protection. I pressed Terresa to talk about inhalation risks because while scary headlines are good for gaining attention, they aren’t always factual. “Inhalation concerns deal with particles that are too small to be filtered out by the body before they reach the blood or lungs. These standards have been determined by OSHA and are currently used by the EU. The particle sizes that are small enough to be an inhalation concern are not useful in powder sunscreen or mineral foundation. To be functional as a powder sunscreen, and to provide coverage in foundation, the particles must be larger. There’s a reason the Nutrient Day Cream Tinted SPF 30 comes up again and again on my favorites list (as well as many others in the green beauty world). The ingredients are stellar, and it’s a matte, light-weight formula that leaves no greasy feel. I really prefer the tinted version so there’s no white cast left behind either. It’s ideal for oily skin, and humid summer days. So if I’m dealing with dryness (depending on the season), I add more moisturizer as a first step. 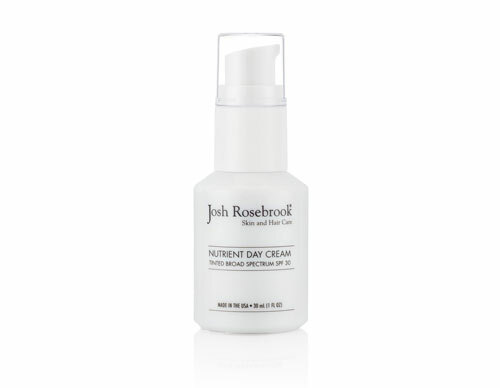 A dedicated natural, organic beauty formulator, Josh Rosebrook is also a prolific educator. He’s echoed much of what the other brands shared above and added even more information on his blog post dedicated to this very topic. I couldn’t let this article go without sharing one of my most favorite hybrid makeup products that will help protect your face from the sun: a natural, tinted moisturizer with sunscreen! One of the dreamiest, creamiest, natural, tinted moisturizers with sunscreen you’ll ever experience. This staple in my beauty bag gives beautiful coverage and luminosity that just makes your own skin look better, while protecting it from the sun. A huge win-win. Which natural sunscreen or sunblock has earned a place in your beauty bag? Leave a comment below and let us know! Feature photo by Kristen Arnett. Product photos courtesy of brands. Next PostIs Your Sunblock Preventing or Causing Cancer? Thanks for putting together this article! I’ve been motivated to try out the Brush on Block and looking forward to seeing how it works. Thank you very much for your masterwork. Always so kind and ready. You’re GREAT!! I have another question for you, concerning to an organic brand I am deeply disappointed and think I would never trust again. Can you tell me what do you know about it? For six years I’ve been using the JOHN MASTERS ORGANICS Evening primrose shampoo. What was my surprise when I started a new bottle (I thought they had only changed the look, but NOT formulation. Big, big disappointment!! When I washed my hair, I thought the shampoo was in a bad condition. Everything I loved , changed. The old formula was a transparent and clear gel, lovely consistency and scent, now nothing to compare. I tried to find out what had happened, and HORROR!! I read that the company decided including silicons and others harmful chemicals in their new reformulations. I have to look for new alternatives. I really loved this evening primrose shampoo. And there is another thing I would like from you. Please, could you send me a lovely article one day I received from you and lost it. Fortunately I can tell you the date and name, Issued: 2016 28th. August “What dead daisies taught me about life and aging”. Precious article, as precious as you are. Kristen, thank you so much for this informative article and for writing it earlier than you planned. I originally heard about titanium dioxide by a fluke. Watching a Review of Suntegrity Sunscreen by Miss Effortlessly Chic in Italy she casually said that “Suntegrity doesn’t have any titanium dioxide and that is a good thing.” It caught my attention. So I started Googling and found all sorts of confusing information about it. So I thank you for writing this excellent and timely article. It definitely cleared up any confusion I had and put my mind at ease. Oh, and I have tried a sample of Blissoma and I am loving it! Light, creamy, no pasty white residue because it’s pink! Goes on like a dream and leaves a lovely matt finish. Thank you so much for the recommendation!! I only really use sunscreens by The Sunscreem Company, namely CyberDerm Simply Zinc Ultra SPF 50 and Ava Isa Pure Untinted Ultra Matte SPF 45. They are very protective, yet offer an elegant base for makeup. They are both zinc oxide- and titanium dioxide-based, they use certified organic ingredients, and are silicone-free! The only thing don’t love is their shipping — I live in the EU and it sometimes takes two months to get them here from Canada. Oh I’d never heard of them but upon doing a tiny bit of research, I really like the ingredient list and am happy you mentioned them here. International shipping is so tricky. It looks like they are EU compliant, so am wondering if they sell in the EU? Beautycounter Countersun Mineral Sunscreen Mist! Non-nano zinc oxide, non-aerosol, goes on white so you can rub it in and ensure coverage – love it! The face stick is also super kid- and purse-friendly. Out of the 5, I tried both Hynt and Josh Rosebrook SPF product. I don’t mind Hynt, and like the lighter texture, but I am not sure if I would get that again. Not a big fan of Josh Rosebrook SPF though, it’s thick, hard to get out from the bottle, and I don’t like the smell. 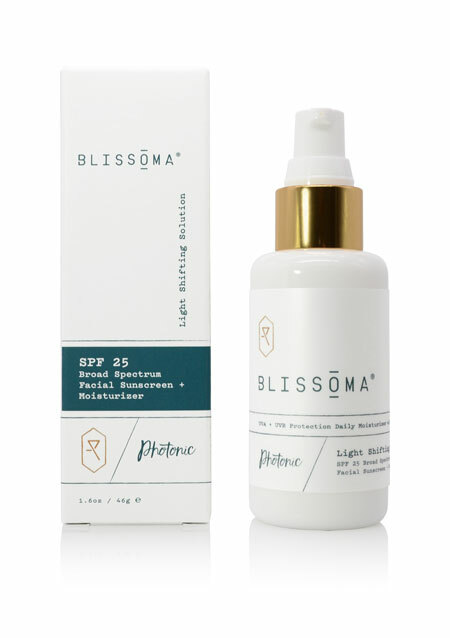 I would be trying Blissoma later this year, I am pretty excited by them launching SPF, since it is the one item I wish they had in the beginning, and I do love the other products. Not mentioned in the list, but I also like Kari Gran 365 SPF, though I can see how not everyone would like it, since it is an oil based SPF. This is more of a ‘why’ question. Why is the SPF recommendations usually come about spring/summer? Aren’t we suppose to apply SPF all year round, even during cloudy and cold days in the fall and winter season, when UV rays are still emitted? It always make me wonder if people stop using SPF when it’s cold outside. Thanks so much for sharing your personal experience with all these brands! It’s so unique to everyone – particularly smell. I love the JR smell 🙂 Kari Gran didn’t make this list (though it has in the past because it’s an excellent option) because sometimes it can be too greasy and white as a final finish. Your why question is bigger than I can answer. Most folks stay indoors when it’s cold and aren’t getting more than 15 minutes of sun on their exposed skin. So when spring arrives, they realize it’s time to shop for a new SPF that they may have run out of since last year. I’m curious about the Suntegrity 5-in-1. I believe I received some in one of your “boxes” a while back and liked it – but noticed it didn’t make this list. Is it just not one of you “Top 5,” or have you changed your mind about it? Was planning on ordering some but now thinking I should wait. Would the W3ll People Bio-Tint be comparable? Thank you for all this great information and your careful research! People LOVE Skintegrity for good reason. The formula and coverage are great, and I think the W3LL People has a bit more glow to it. Their ingredient profiles are very different, so that may be a deciding factor for you too. Hope that helps! 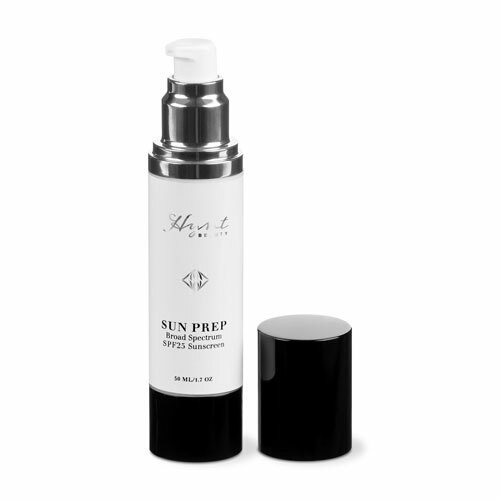 I really like Hynt Beauty Sun Prep. I’ve been using it over the winter after reading your article. However, after reading this article I’m concerned I’m not getting the best UVA/UVB protection because it does not contain Zinc oxide. Did I understand this correctly or is this a controversial topic? As a professional makeup artist myself I’m curious as to how these recommendations work on set, whether in the studio or on location. Do you have problems with flashback when using any of these brands? If not, do you have a particular one of these that you prefer using most professionally and why? Yes, if I know that I’m going to be strictly indoors all day or strictly outdoors then I don’t worry about it. Then I apply sunscreen, or not, accordingly. However, as you know in this business, schedules can change abruptly, or if working on a movie or TV commercial, we can be inside and then out and then back inside again. I really do prefer to use the healthier sunscreens whenever possible. I was thinking the Brush on Block sunscreen might be great if you had planned to be indoors all day and there was a schedule change that suddenly put you outside. 😎 It seems it would be pretty easy to add over existing makeup, then touch up with powder foundation and blush. What are your thoughts on how well that may work? I’m looking to add a couple new ones to my kit. The Sun Prep 3 in 1 seems it would be good for eliminating extra steps and to save time. Do you think those two would be good choices for the Pro kit?